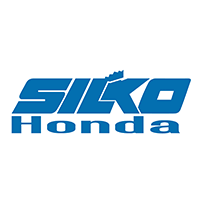 The Parts Department at Silko Honda is here to serve all your needs. When you need official Honda parts for sale online and accessories, there is no better source in the area. We have a larger selection than the big chain outlets. Plus, we offer a much higher level of service and expertise. By submitting this form you will be requesting part prices at no obligation. A Silko Honda representative may contact you within 24-48 hours if we have any questions about your request. We carry a massive inventory of official Honda parts and accessories. And if for some reason we do not have what you require, we can get it in stock fast. By working with official Honda parts, you can feel certain that the Honda part for sale will fit perfectly and perform exactly as intended. And thanks to the automaker’s commitment to its loyal drivers, you can be sure the part is built to last. There are no better parts on the market to install in Honda vehicles.